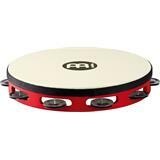 This model features our world famous FIBERSKYN®3 drumhead film which is durable, lightweight and pre-tuned for all styles of music. 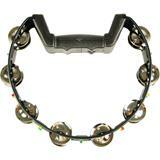 The 6" diameter shell has 6 pairs jingles in 1 row. 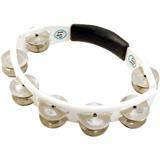 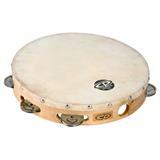 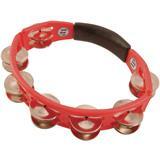 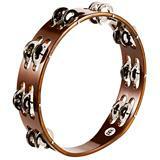 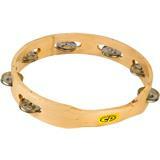 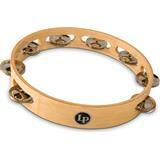 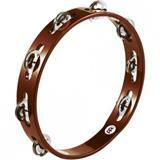 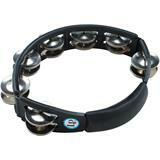 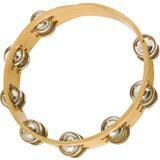 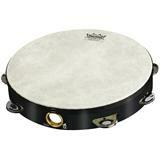 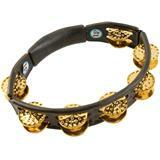 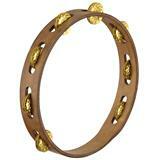 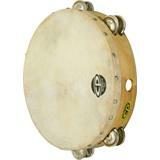 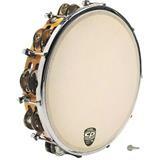 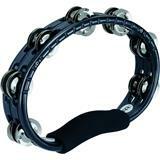 A Tambourine that can go anywhere! 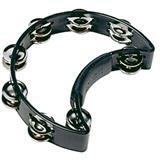 Meinl's Touring Tambourines feature their new True Feel synthetic heads and have black plated steel jingles which are high in pitch, bright, and have a good sustain. 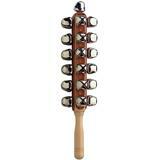 Solid wood 10" shells and a double row of bright, cutting jingles. 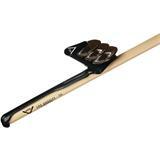 Shaped grip and gently curved edges are easy on young hands learning to play.